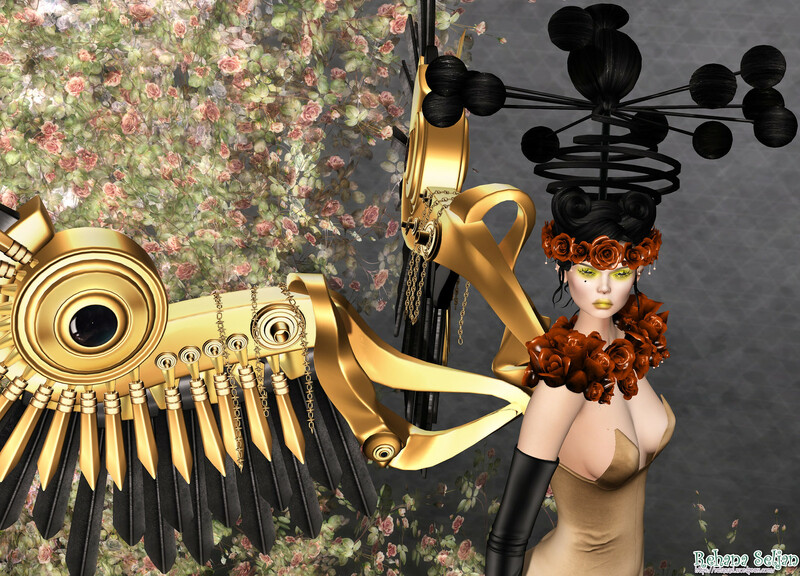 + Dress | Scandalize – KIM (Copper / for Maitreya and more) @Kink(Y) (19th Dec) – NEW!! + Shoe | Hucci – Hamden Boot (for Maitreya and more) @Uber(23rd Dec) – NEW!! + Hair | monso – HyunA (Black&White) @Uber(23rd Dec) – NEW!! + Tattoo | Carol G – Mithra (Black / for Maitreya and more) – NEW!! + Outfit | Masoom – Alexis (for Maitreya) @The Liaison Collaborative (30th Nov) – NEW!! + Shoe | Hucci – Dollyer Boots (Collection / for Lara) @Collabor88 (6th Dec) – NEW!! + Hair | Vanity Hair – Suite in G Major (Blacks) @Tres Chic (10th Dec) – NEW!! + Make | Zibska – Voirrey (for Omega) Eyeshadow @Shiny Shabby (15th Dec) – NEW!! + Lips | Zibska – Visare (for CATWA) Lips @Shiny Shabby (15th Dec) – NEW! !